The police today have more officers per capita than in the 1960s – challenging claims that they are understaffed, figures show. Despite claims that forces are struggling to cope, analysis of Home Office data shows that in 1961 there were 807 people for every police officer in England and Wales, whereas the most recent figures, released earlier this month in a House of Commons briefing paper, show that there are now 462 people for every officer. Several police forces, as well as the police watchdog HM Inspectorate of Constabulary, have said that recent cuts have left forces struggling to function properly. The police were criticised for poor performance last week as the Daily Telegraph’s data analysis showed that nine in ten burglaries were left unsolved. 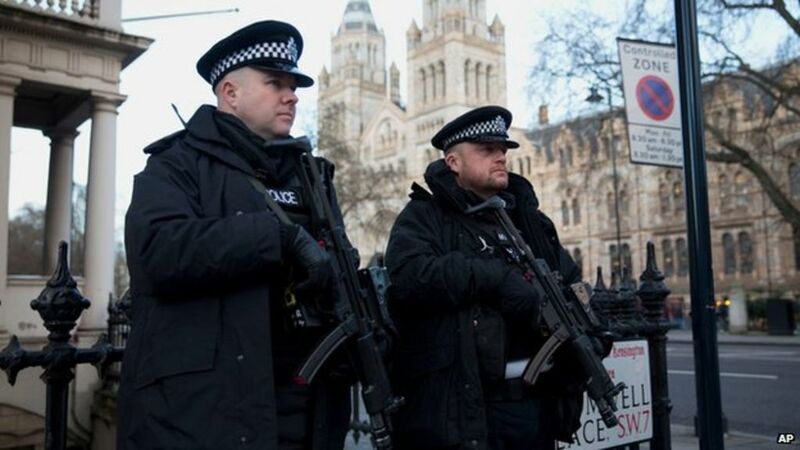 The Metropolitan Police has also said that it would no longer look into lower-level crime as a result of spending cuts. Meanwhile they have come under fire for awareness-raising stunts such as officers painting their nails to highlight modern slavery. The figures, which appeared in the Mail on Sunday, suggest that police numbers compare favourably with previous decades. Police numbers rose during the 1980s and early 1990s, before falling to a 10-year low at the end of the 1990s and rising sharply in the early 2000s. They have been dropping again since 2009, when they had reached a high of 141,647. There are distinct differences between crime levels of 1961 and today. In 1961, 806,900 crimes were committed whereas ONS data shows that 5.2 million crimes were recorded this year, a 13 per cent rise from the year before. A briefing paper published ahead of the London 2012 Olympics shows that crime per 100,000 people rose sharply during the 1960s. An average of one million crimes per year was recorded during that decade, rising to two million during the 1970s and 3.5m in the 1980s. More recently, according to the crime survey for England and Wales, crime peaked in 1995 and has been falling since although police recorded crime has risen in recent years. Previous analysis of rising crime data has suggested that it can be partly attributed to changes in the way it is recorded, as well as the criminalisation of drug use and the rising value of people’s possessions and property. The National Police Chief’s Council highlighted that the police are dealing with different crimes now than they were 50 years ago. A spokesman said: “Policing in 2017 is very different to in the 1960s. We are dealing with an unprecedented terror threat, police recorded crime is up 13 per cent and forces are dealing with more complex, resource-intensive crime like modern slavery, child sexual exploitation, cybercrime and online fraud. Minister for Policing and the Fire Service, Nick Hurd, said: “We are clear that all crimes reported to the police should be taken seriously, investigated and, where appropriate, taken through the courts and met with tough sentences. “This Government protected overall police funding in real terms since the 2015 Spending Review and maintained that protection in a fair funding deal this year. Figures also show that since 2010, the proportion of officers working at the frontline has increased and is currently at more than 93 per cent. The Master Locksmiths Association (MLA) has reported record attendance at its trade exhibition for the locksmithing and physical security industry. The bi-annual event, which was staged earlier this month in Halls 1 & 2 of the International Centre in Telford, had a footfall of 2,309 visitors – 50.3% up on the previous expo in 2015. The attendance figures, provided by third party visitor registration company QRS, show that MLA Expo, which was being held for the 19th time, was not only the biggest and most successful MLA Expo since it was first held 35 years ago, but, according to some visitors is now the largest trade exhibition for the locksmithing industry in the world. MLA Managing Director Dr Steffan George said: “We were expecting Expo to be big; having taken the step of expanding in to 2 halls we were delighted with the number of exhibitors who signed up seeing the show completely sold out. The key however is of course getting visitors there, and with 700 visitors walking through the doors within the first 3 hours of the show being open, we were ecstatic to get excellent feedback from exhibitors who couldn’t believe how busy the show was. “Joining up with our colleagues at the Auto Locksmiths Association (ALA) and creating “The Garage”; the area dedicated to auto locksmithing where all auto related suppliers were based seemed to work really well. “Class leading training continued to be available at the show and will no doubt have attracted a lot of people to visit. Training at this year’s event included safe lock picking, lock decoding and picking, social media marketing, “how to think like a burglar” (to improve surveying skills), vehicle locks & cloning, electronics, access control and abrasive wheel certification to name but a few. “MLA Expo is a truly global exhibition involving people from across the wider locksmithing industry, and that was proved once again. Total overseas visitor numbers almost doubled, splitting this down further, just over 90% more visitors came from Europe as did in 2015. It provides a fantastic opportunity for locksmith and security companies and professionals from around the world to come together, network and find out about the latest innovations in the industry. It is the perfect occasion for manufacturers and suppliers to showcase their products and services, network, share knowledge and make new contacts. 3 awards were given out at the MLA Expo; Best Stand was won by APECS, Most Creative Stand was won by Burg Wächter whilst Best Product was won by Sashstop, as judged by MLA board members who are working locksmiths. Our heartfelt congratulations go to them all on their well-deserved win. Saturday night, with a mix of a pre-dinner drinks reception, excellent food and entertainment with a great time being had by all. The MLA’s charity raffle also took place with prizes very kindly donated by Brisant Secure, Aldridge Security, ABUS, Abloy, Burton Safes and Keyprint. Thanks to them and the generosity of those in attendance £3100 was raised for the charity of choice of the event which was Cancer Research. Pictures can be found below of the prize donors getting their certificate of recognition. Numerous Industry awards were also given out at the dinner. Firstly the ALA gave a special award to Tim Hart in recognition for all the work he put in to help with the event. Ron Cliff was next up being awarded honorary membership of the MLA thanks to his significant contribution to the association over the years. Sid Owen was then announced as the winner of the Nigel Rose Bowl due to him having had the best BLI Exam results during the previous year. The final award was the Chubb Award; this most prestigious and well recognised award within the industry is bestowed by the board of directors of the MLA on the person they feel has done the most to further the locksmithing profession in the previous year. The recipient in 2017 was John Harding, somebody who has not only served as a board director of both the MLA and Sold Secure, but is current secretary of MLA London Region and has toured the country training on the vital H&S aspects of working with abrasive wheels. UNION, part of ASSA ABLOY Security Solutions, a division of ASSA ABLOY, the global leader in door opening solutions, has launched the FastLatch, a new range of push fit tubular latches and privacy bolts. Designed with a stylish and modern appearance for interior doors, FastLatch is both aesthetically pleasing and easy to install due to its revolutionary round forend, reducing installation time and offering a professional finish. 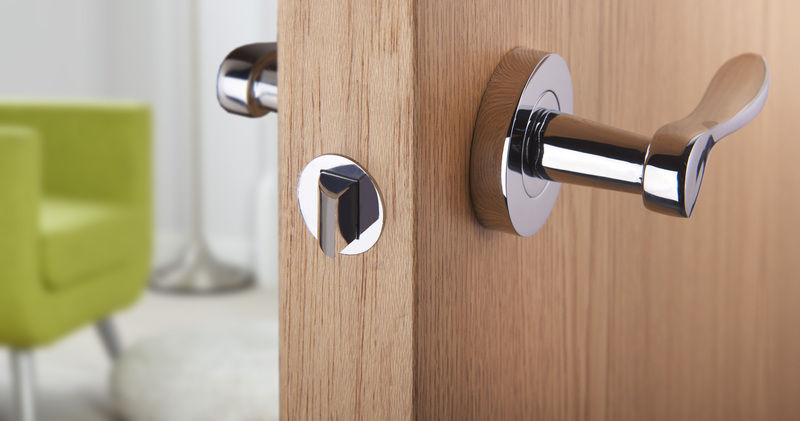 Available in a choice of three high quality finishes – polished chrome, polished brass and satin nickel, FastLatch is supplied with both round and square corner strike options, enabling a quick and simple installation or retrofit. FastLatch has been tested to 800,000 closing cycles, to ensure it lasts for decades of residential use, reducing maintenance and replacement costs. For further information, please visit www.uniononline.co.uk/fastlatch or contact the UNION sales team on 0845 223 2124. You can also like UNION’s Facebook page or follow on Twitter. Our focus in this article is what you can do to give your locksmith business a boost through digital marketing, which will produce enquiries in the short and long term. We’ll start with the pros and cons of pay per click – Google AdWords & BING Ads. The biggest attraction to this form of advertising is the instant results that you can achieve. A well-structured campaign, given the right level of attention and optimisation can produce an instant hit, but as many locksmiths also discover, this form of advertising can be extremely competitive. To some, pay per click can be an unsustainable advertising platform due to the highly competitive nature of other advertisers. Click fraud can also be an issue, this is where competitors click on each other’s ads to inflate their spend – Click Guardian Pro is an imperative digital tool for any locksmith trying to get the best from Google AdWords as it protects against this budget busting activity. To summarise, pay per click is great for instant results but expect it to be highly competitive. SEO (Search Engine Optimisation) is a much more in-depth subject than pay per click but arguably offers a more sustainable approach to being found online over the medium to long term. SEO is all about getting everything right in a bid to influence the way in which Google ranks your web site in their organic results. Over the years many web site owners have suffered from Google’s algorithm updates, which have completely reshuffled the positions they had, often in a very sudden way. This has led to business owners having to revaluate the way in which they try to optimise in an effort to do everything by the book. Those who perform what’s known as ‘Black Hat SEO’ may get a short term gain but as soon as Google identify their techniques will often ban them from ranking well indefinitely. Black Hat SEO is where a web site owner tries underhand tactics to boost their site’s popularity, effectively they try to cheat Google’s algorithm. The reverse term is White Hat SEO – this is the only ‘right’ way to get your web site ranked highly and also considered the only way you’ll be able to sustain a high position. So, what are considered the best top tips for White Hat SEO in 2017 so far? 1. Cloudflare – this is a combination of a content distribution network and DNS caching. This technical combination helps render your web site quickly in the browsers of your visitors. Page loading times are absolutely imperative and if you’re serious about getting ahead of your competitors then this is definitely for you! 2. Applying an SSL certificate may be another tricky one to initially install but it’s become apparent over the last 12 months that this is a small ranking signal which is set to become stronger at Google. Whether the website collects personal information or not, Google will reward sites with SSL Certificates with a boost in search ranking. 3. Having a mobile friendly web site is now an absolute must. Not only is this hugely important for SEO but as a locksmith, the majority of your visitors will be searching from mobile devices. 4. You’ve probably heard the term ‘content is King’. This couldn’t be more accurate in today’s SEO landscape. It may seem obvious but content is absolutely vital in getting your message across and Google reward web sites that have quality content in terms of volume and uniqueness over sites that have a couple of paragraphs, duplicated from site to site! In fact duplicate content is just as harmful as no content! 5. If you’ve got an aging web site then you may have a poor navigation. Not only will your visitors struggle to navigate around your web site but Google have crawlers that identify poor navigation and missing pages, commonly known as 404’s. It’s not difficult to identify with the right SEO tools – this is a commonly overlooked area of SEO which is becoming more important. A top tip is to visit your own web site on a desktop and a mobile device and simply navigate. Any errors should be corrected and Google updated through a sitemap connected to Google Webmaster Tools. A startup company called Brizebox is making sure online shoppers receive their orders when not at home. 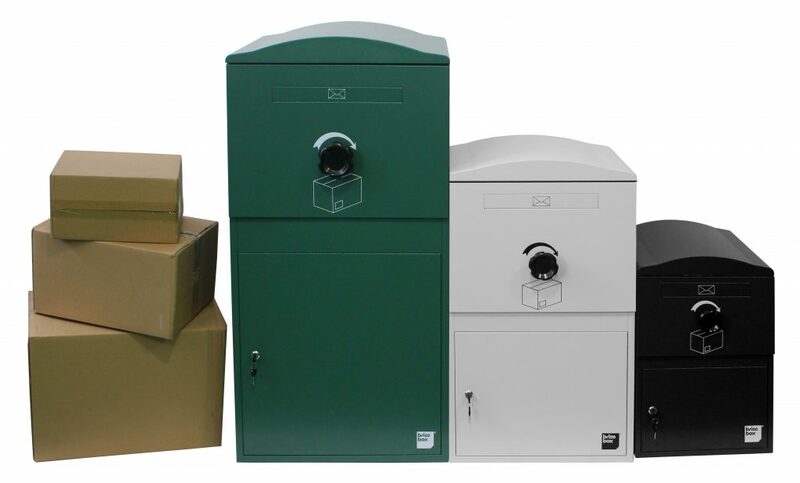 They have designed a simple Parcel Delivery Box that requires minimum courier intervention, keeps parcels totally secure and continues to receive parcels until full. Brizebox has hit the ground running and their products are available in the UK, Europe, USA and Canada with Australia and New Zealand to follow soon. Their products come in three sizes and are the first to be adaptable for use in apartments. With many ex-service people choosing security and locksmithing as their second career when they retire from the armed forces, organisers of Lockex, the pioneering new exhibition for locksmiths and auto-locksmiths, has nominated Pilgrim Bandits Charity www.pilgrimbandits.org as its chosen charity when the show debuts at the Ricoh Arena, Coventry, next month from 16th to 18th September. Hosted by the locksmith industry’s leading trade magazine, The Locksmith Journal, part of Clearview Group, the show has been designed to deliver exactly what locksmiths want to do and see at an exhibition, based on research carried out with the magazine’s readership. Exhibitors from an array of renowned industry suppliers will be representing hardware and security, along with an extensive programme of workshops and seminars presented by industry experts. Lockex Director, Rob Exley, was first introduced to Pilgrim Bandits Charity when he attended a local music event in aid of the charity. Pilgrim Bandits Charity was established by a small group of Special Forces veterans in 2007 with the sole aim of using their unique training and experience to help and inspire wounded soldiers to live life to the full. The charity funds extreme expeditions for amputees from the armed forces and emergency services and then shares experiences with underprivileged young people. Following a conversation with the charity’s patron, Lance Bombardier Ben Parkinson MBE, who is reputed to be the most severely injured soldier ever to survive when his WIMIK Land Rover detonated an anti-tank mine in Afghanistan, Rob and the Lockex organisers felt it was a natural step to support Pilgrim Bandits Charity at the show when it premieres next month. To visit the show and book your place at one of the workshops register at: https://lockex.eventsair.com/lockex/visitor/Site/Register. The first 1,500 people to register will be entitled to a free £5 lunch voucher and bacon sandwich. Welcome to the new Cornwall Locksmiths website. Working in Collaboration with PirateFM Digital Media, we are proud to present our new, mobile friendly website. If you have any comments, please get in touch via the contact page and we will get back to you as soon as possible.